Today I am going to share cards I made last month. I made masculine cards. Man cards. I got carried away and made many! Most of which I chose not to post. Didn't want to overwhelm you (like I did to myself). We always need a man card when we don't have one already made. I won't be caught in that position anytime soon. 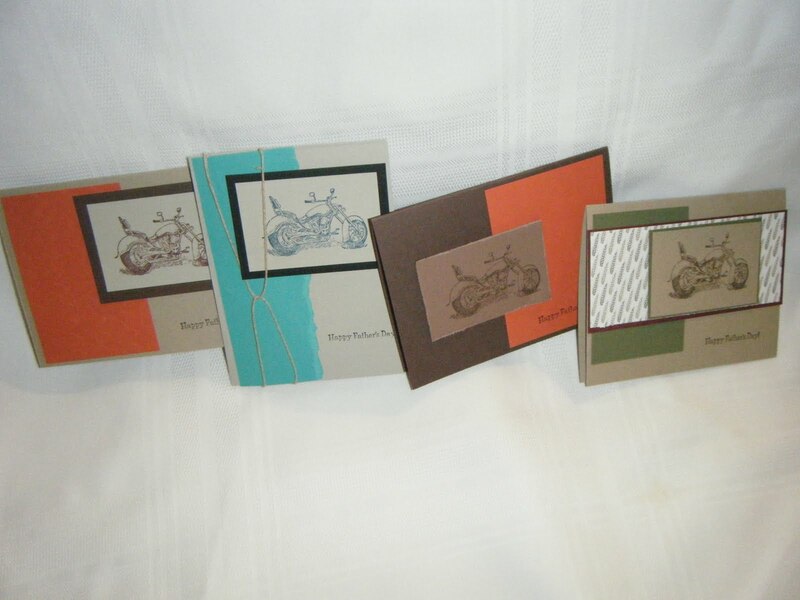 Most of the cards were made with retiring cardstock. I will give you the recipes I used for the cards going left to right. Forgive me for not following a traditional recipe format. It's just easier to do it this other way. I think. I hope you will figure out my madness. I hope you figured out what I did above with the recipe. These next two cards are made with the same stamp sets. Both use the same paper: Going Gray, Black and Basic Gray. The first card was made with the Big Shot and a texturz plate - Harlequin. Plus black grograin ribbon. 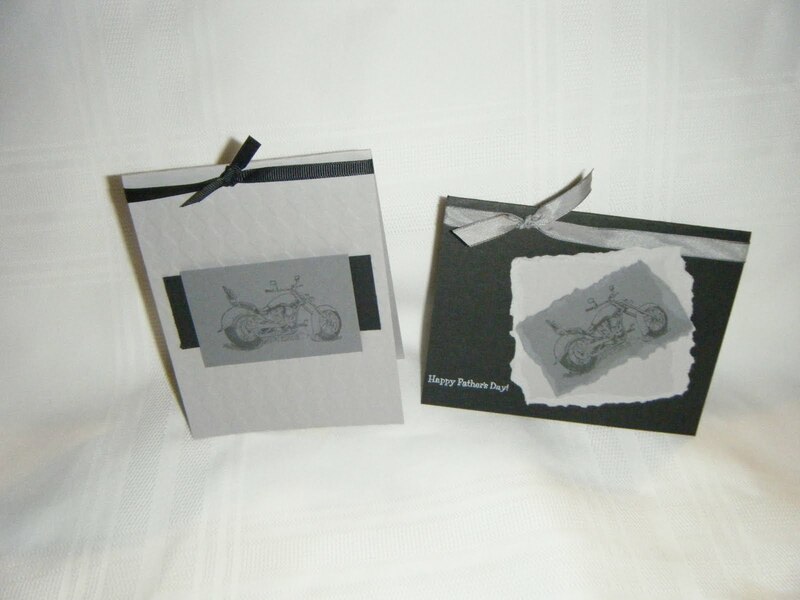 The second card has Basic Gray Taffeta ribbon. I used the tearing technique on this card. Next time I will share more manly cards.